INDEX-6® was established in the city of Plovdiv in 1990 by a team of a few engineers-experts in the field of mechanics, hardware and software, with a rich experience in automation and robotics. The first steps of the tiny crew was constructing and manufacturing of machines for the canning industry which was then well developed in the country. The Twist-Off cappers business played a key role for the success of the company and its growth to the foreign markets. The conception of "IND-machines" was then generated, creating the first fillers from the IND-Dose 41 series, Twist-Off cap cappers for jars and bottles from the IND-Close 14 series, labelers from the IND-Lab series, all of which in no way inferior to the world leaders in the industry. As the company quickly grew it expanded its business, covering the complete range of filling, capping and packaging of beverages, food and non-food products for a number of industries (milk and food drinks, spirits, cosmetics, chemicals, etc.). 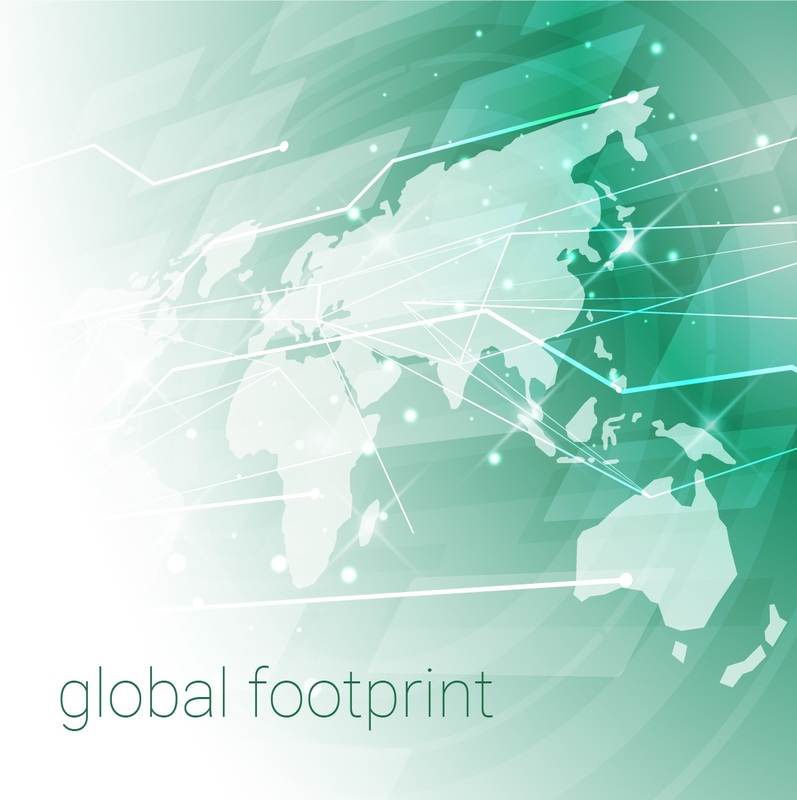 29 years later INDEX-6® is steadily established on the markets of East Europe and the EU member states, Middle Asia, Asia, Africa, offering to its clients complete dedicated engineering solutions, production lines and fully integrated systems, following the latest trends in the area. The motto "Always in motion" synthesizes the ceaseless strive for development and perfection of the company. 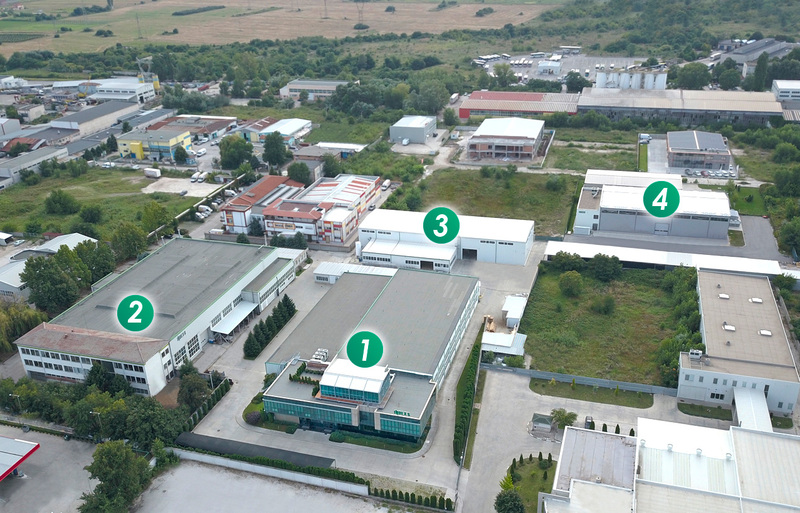 Today, INDEX-6® is the biggest producer of such equipment in Bulgaria with big investments in production facilities and one of well-known European producers of filling machinery. To this current moment the company has well positioned offices and agencies in some European and Asian countries. Service, after sales support and spare parts are secured for all machines installed. After collecting enough experience and know-how, INDEX-6® expanded its competences – instead of just standalone machines the company started to offer turnkey solutions, starting with analysis of the concrete product, following the consistency of the technological process and ending with installation and technological plans for completely automated equipment for filling and packaging of milk and dairy drinks, ketchup, mayonnaise, baby foods, jam, oils, juices, wine, spirits, etc. Individual solutions are offered also for non-food products, including personal care products, household chemicals, petroleum products, automobile cosmetics. 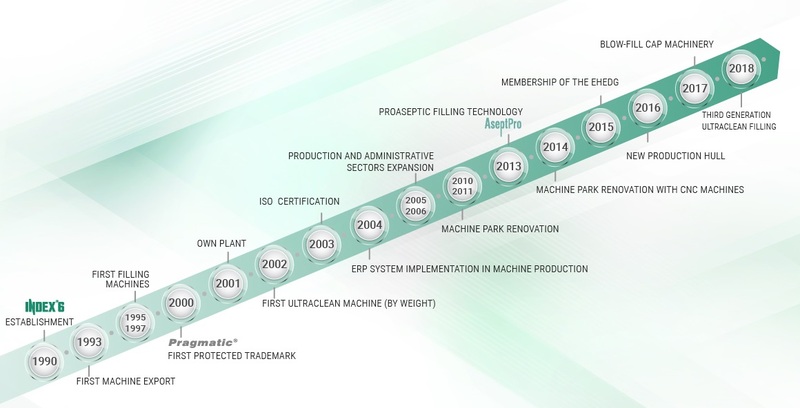 Since the year 2002, thanks to the work of the highly motivated design team, INDEX-6® started to offer highly technological ULTRA CLEAN bottling equipment for ESL of microbiologically sensitive products – these are the machines from the AssetClean™ trade mark and the Pragmatic® series for the other products. 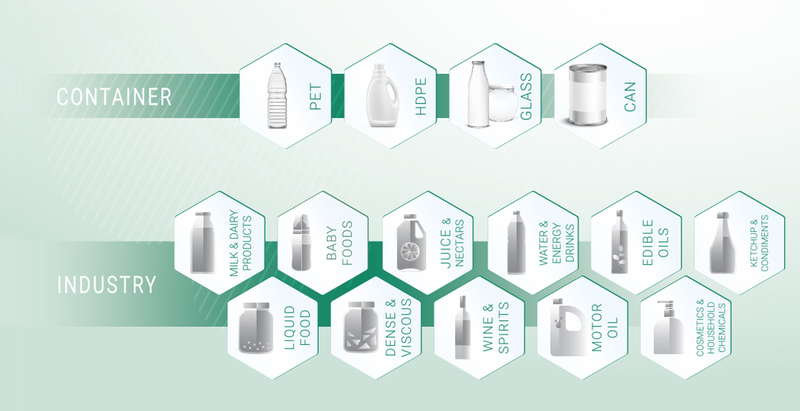 The multibloc systems from the AssetClean™ series are specially designed for filling of microbiologically sensitive products like milk, yoghurts, juices, teas and others. Depending on the concrete product and package peculiarities and the necessary capacity, weight or flowmetric dosing is applied. Several additional features are included in these systems with the purpose of increasing hygiene. The multiblocs from the Pragmatic® series are designed for filling of a wide range of liquid and dense products in PET, HDPE, glass or metal containers, based on weight, flowmetric, volumetric or gravitational filling technology. INDEX-6® offers engineering and complete technological lines with integrated logistics solutions and complete process monitoring, which places the IND-conception among the best producers of this type of equipment. Along with developing its markets and market shares, in parallel INDEX-6® has been ceaselessly improving its production and human resources. In 1998 the company built its first own factory and in 2005 we put into exploitation a dedicated assembly building and a contemporary administrative building. Today, at its disposal INDEX-6® has a production base spreading on 25 000 square meters, with 4 autonomous buildings – ingots production, parts production, assembly works, as well as a service center and warehouse facility. For our metalworking needs we rely on a well-equipped machinery stock for various applications. The engineering staff works with a high-class CAD-CAM system and the complete manufacturing process is controlled via ERP system developed by our own IT department and integrated in 2004. Each part is completely traceable from the beginning to the end of the manufacturing process and quality control is guaranteed. Industry 4.0 already offers more automation and intelligence in our production, service support and after sales. INDEX-6® is a member of EHEDG; has ongoing projects under their guidelines and rules of hygienic design and engineering criteria.